Core Kedaka values are delivered through substantial increments in growth and yield with maintained high marble scores, delivering superior production cost/benefit overall. This is the Kedaka story. Tottori Prefecture is home to Kedaka/Tottori Black Wagyu. “Kedaka” (1959) is the most famous sire of the modern Tottori line. Seventh smallest and least populous of Japan’s prefectures, Tottori is a narrow, north-facing strip of the western Honshu coast about 70 minutes flying time south west of Tokyo. Sheltered from typhoons by the wall of the Chugoku Mountains 60km inland, Tottori tumbles steeply to a narrow 120 km coastal plain on the Sea of Japan. About 75% of the prefecture is mountainous. It is a place of secluded mountain villages and spectacular scenery. Tottori city (Pop. 202,000) is prefecture capital. Smaller cities include Yonago (150,000); Kurayoshi (53,000) and Sakaiminato (37,000). The prefecture name and crest evoke an ancient heritage of wild-fowling. Long ago, extensive wetlands near the present capital of Tottori were home to abundant birds (tori) and peoples known as tottoribe, or birdhunters. Hence,Tottori. The prefectural bird is the beautiful, protected Mandarin duck. 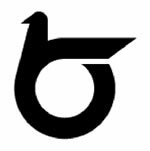 The Tottori Prefecture crest combines a bird image with the first letter (in Hiragana) of the Japanese word for bird. The economy of Tottori is substantially agricultural. Forestry is a major industry and Tottori’s orchards are famous throughout Japan – especially for the Nijusseiki (Twenthieth Century) nashi pear. Nijusseiki blossom is the floral emblem of the prefecture. Other important crops include the non-astringent Japanese persimmon ‘Fuyu’; the Japanese mountain yam (nagaimo) – an important ingredient in Japanese noodle cuisine; a chive-like Asian vegetable called rakkyo; and the Welsh onion (negi), which is an essential part of many local dishes including miso soup. Tottori has a vibrant fishery and a museum dedicated to the region’s crab species is located near the fish market in Tottori city. Foodies note that ‘Fuyu’ and crab make an uneasy combination. Scenery is the major tourist appeal. Seaside attractions range from popular Sanin Coast beaches to the spectacular cliffs of the Uradom Coast and the Tottori Sand Dunes. The latter is Japan’s only large dune system, stretching north of Tottori city for over 15km and attracting millions of tourists each year. Inland, seasonal mountain sports such as climbing, ski-ing and snowboarding are supported by a range of resorts. Hot spas (onsen) are popular throughout the region. Tottori lies at the heart of the Japanese Black Wagyu home range. 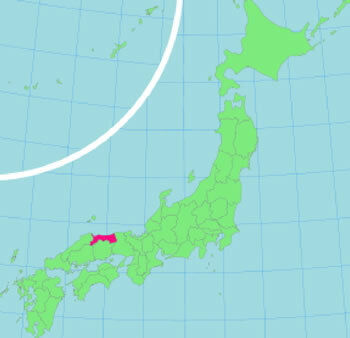 Immediately east is Hyogo prefecture, home of the Tajima strain; south (behind the mountains) is Okayama prefecture and the Okayama/Fujiyoshi families; immediately west is Shimane prefecture. These proximities no doubt explain some of the substantial influence of Tottori Wagyu on breed development. The Chugoku region, including Tottori, is the cradle of the Japanese Black, which is founded on native Mishima cattle. It was once the major production area for the breed, which is locally traceable back to 1748. Tottori cattle were originally bred as beasts of burden (pack animals) to transport produce across the difficult landscape. Compared with Hyogo Wagyu, conformation is more even, reduced forequarter emphasis resulting from lesser draught (tillage/cart hauling) requirements. Strength and good temperament were essential. Lesser local emphasis on cropping supported better grazing adaptation, which in turn produced a requirement for maternal strength. Nonetheless, early Tottori Black Wagyu were relatively small. During the early Meiji Period of the 19th century, a substantial Government-supervised importation of foreign genetics infused native Japanese beef herds. In Tottori, the infusion was from the Shorthorn and Brown Swiss breeds. The infusion improved frame size, weight and milking ability, but by increasing maintenance requirements it also decreased economic viability. Further crossbreeding was halted. 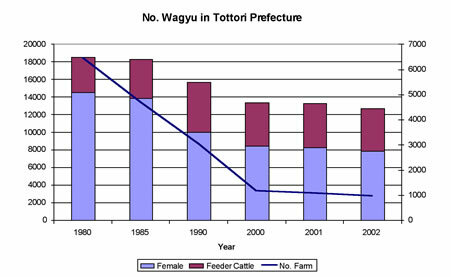 Tottori was the first prefecture to implement the national Wagyu improvement scheme established in 1918, which required registration of stock and established (phenotype) standards. It is important to note that in this period selection targeted traits required for working animals – not beef. Beef attributes selection commenced in the 1950s as Japanese agriculture became fully mechanized. In more recent decades, as the graph below illustrates, there has been a steady decline in production within the prefecture. However, this has been more than compensated for by national adoption of Kedaka/Tottori genetics. Today, with local Wagyu breeding itself in decline, Tottori line breeding within the prefecture is even more substantially diminished. 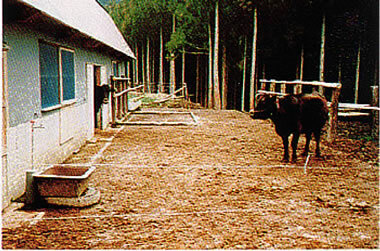 Few linebred Tottori cow herds remain. Local breeders have embraced contemporary Japanese selection strategies which blend superior bloodlines from right across the national herd – a trend which has also diminished genetic diversity. Some of today’s best Tottori bloodline bulls, including the most popular current sire , Hirashigekatsu, were bred outside the prefecture, which is now encouraging producers to ‘re-import’ the famous genetics of Hirashigekatsu, Kitaguni 7/8 and Yasufuku for local herd improvement. The origin of Honjyouya-Tsuru, and Konya-Tsuru line cattle – distinctive cow families – but no distinctive bull bloodlines. Famous for Japan’s most outstanding Black Wagyu cow lines, noted in the Japanese cattleman’s affirmation: “The Kedaka female is best”. From 1959, the famous bull“Kedaka”dominated the market place, noted for the key qualities of strength, superior growth and superior females. “Kedaka” is a grandson of “Eikou”(Saihaku district) and has Hyogo bloodlines on the dam side. He produced a number of superior sires which became prominent in other prefectures. 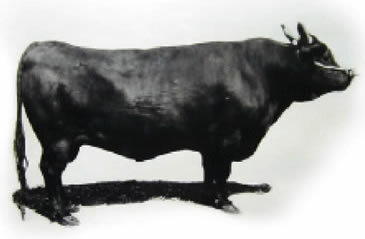 A Kagoshima prefecture bull, “Dai 20 Hirashige” (1974) is often considered Kedaka’s most outstanding son, and became a leading contributor to breed development in Kyushu and Tohoku regions. A leading bull of the Dai 2 Kedaka line, “Harumi”, achieved fame in Shimane prefecture, commencing the Kensei line now famous throughout Japan. Not an active bull production centre, importing many Yazu and Touhaku bulls. The“Eikou”line was established in 1944 and dominated breeding in this district for more than 10 years. The largest district in Tottori and historically a leading bull production centre. From the mid-1920s to the mid-1950s,“Dai 66 Takayama”was the premier Touhaku bull and a leading national sire, falling from demand after 1955 when selection focus shifted from large frame to high marbling. (The shift in market focus marks the mechanization of Japanese agriculture, when Wagyu ceased to be bred as work animals and commenced to be bred for beef alone.) The Dai 66 Takayama line was then succeeded in popularity by the “Hana” line. Few high Tottori/Kedaka sires have been available in Australia and Kedaka infusion to date has primarily been associated with larger size. There is little robust science or EBVs (either Japanese or Australian) to support Kedaka claims for greater attention from Australian F1cross-breeders in particular (assuming the F1 segment remains viable); or to prove/disprove claims about unreliable marbling; increased maternal capabilities; better foraging capability. The strongest positive indicator is the high demand for Kedaka genetics within mainstream Japanese Wagyu FB feeder production – where the proven outcome is better growth and heavier carcass weights, with well-maintained marbling. The dramatic down-sizing of Wagyu crossbreeding in Australia since 2006 has resulted in a sharp contraction in the market for fullblood sires for this segment. Going forward, many fullblood breeders have the single option of producing high quality feeders for a small but strong market. As we see in the carcass results in Modern Japanese Production Systems,(link) the most profitable genetics are unlikely to be high Tajima. In fact, with Australian fullblood prices a small fraction of Japanese equivalents, it is an economic imperative to target high early growth. Otherwise, substantial and expensive feeding to entry weights is inevitable. Modern Japanese breeding and feeding experience indicates that the most profitable combinations in this scenario will include extensive Kedaka infusion. Freedom from dystocia related to sire genetics is a major Black Wagyu breed attribute. In virtually any cross-breeding situation with a known dystocia predisposition – ranging from Holstein dairy to large Euro composites – few if any alternatives will beat the use of fullblood Wagyu sires to directly address the problem in first calf heifers. Where progeny go to conventional markets, growth and weight will determine profitability. Within the range of fullblood Wagyu options, high percentage Kedaka bulls will help optimise overall returns at calf marketing time, with a residual bonus of heritable meat quality and maternal capability retained in any heifers kept for breeding. High feed prices, currency fluctuation and unreliable marbling across herds has seriously impacted returns to Australian Wagyu cross-breeders since late 2006, with F1 production from female herds of uncertain marbling status taking the greatest hit. Although consistent cross-breeder focus on high Tajima sire genetics has directly addressed marbling, the overall result has been mixed, resulting in sharp declines in feedlot purchasing once additional, negative macro economic factors came into play. Cross-breeders unable to find feedlot customers (where the Wagyu premium is based on qualitative not quantitative value), found themselves disadvantaged in the weights-based saleyard auction system – due to lighter, lower growth calves. Instead of a peak $3.30kg liveweight premium, returns frequently came back below $1.50kg liveweight discounts, while conventional British and Euro calves traded over $1.70kg. For many producers keen to chase incremental return, entry level to any crossbred Wagyu premium must now move beyond F1, with breeder specification as critical as sire selection. High percentage Kedaka infusion will help establishing a profitable breeder herd and also in gaining better yields in subsequent generations. First generation high Kedaka crossbred calves should compete in the open market on quantitative values – although there may be some slippage in feeding results. In further generations, >F2-F3 and greater, significant Kedaka infusion should deliver balanced growth/marbling and ensure greater marketing flexibility. The superior grazing and maternal attributes of Tottori/Kedaka females are (in scientific terms) entirely anecdotal. Nonetheless, we know that selection history encouraged these attributes in a prefectural environment that was both unique and in the heartland of the evolution of the Japanese Black. For balanced growth and marbling – attributes keenly sought by many Australian Wagyu breeders – the superior Kedaka female is seen as the breed pinnacle by traditional Japanese cattlemen. We would probably be wise to place value on their experience.